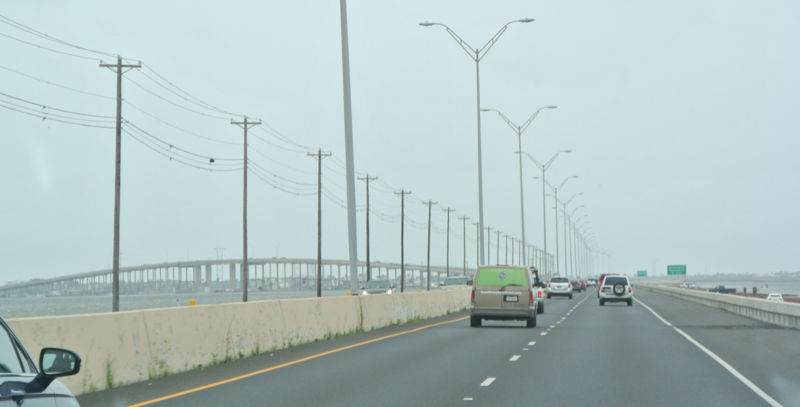 Our day began with navigating the highways of Corpus Christi. From our RV Park on the east side of Oso Bay, we headed west towards an intersection that would ultimately lead us downtown. Along Highway 358 lies the typical fare: fast food and chain hotels. Assumably because Corpus is the origin of the Whataburger franchise, we noticed that truly every time one disappeared behind us, another sprang up on the horizon. They’re as plentiful in this area of Texas as McDonald’s restaurants are in the rest of the country. 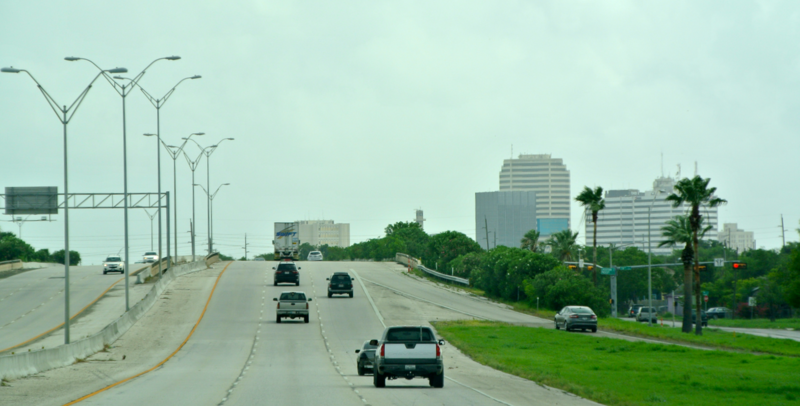 Pictured above is downtown Corpus Christi, as we entered it via Highway 286. 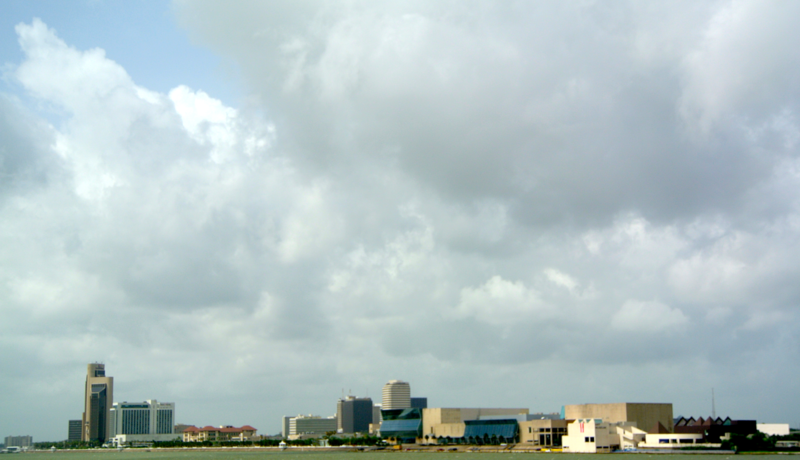 The building you see, rising just above the road is the Nueces County courthouse. 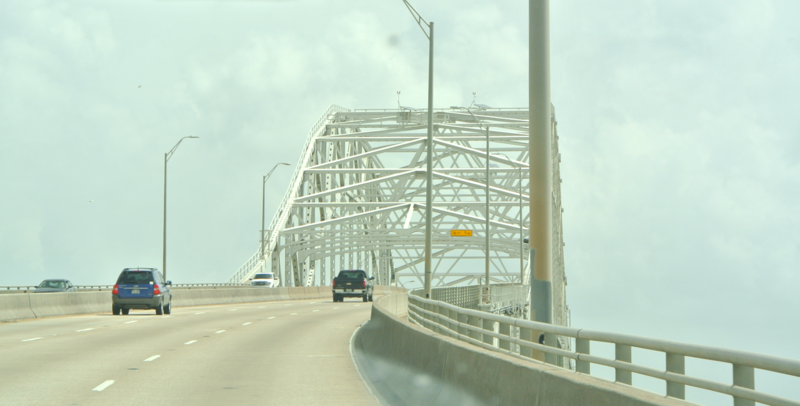 On the north side of downtown is the massive Corpus Christi Harbor Bridge, which spans the gap between North Beach and the rest of the city. When crossing the crest of the bridge, there’s just no way you can miss the city’s largest attraction, which spreads out in the bay below. 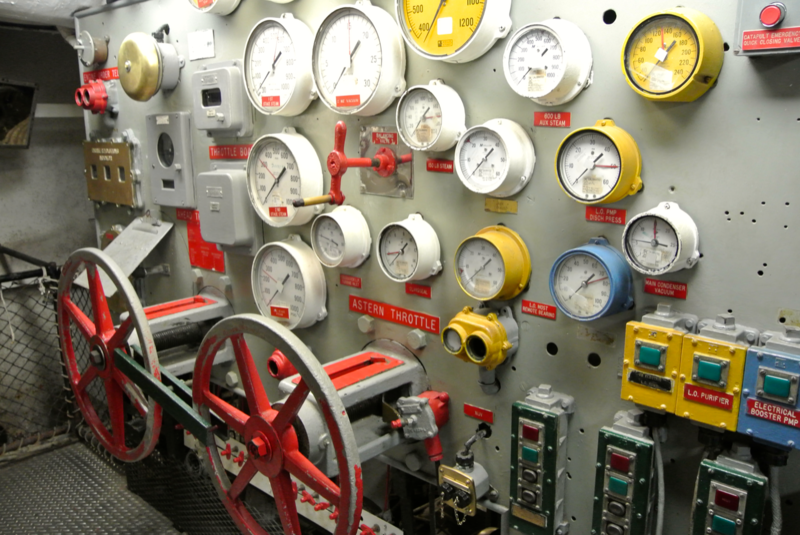 Commissioned in 1943, the U.S.S. 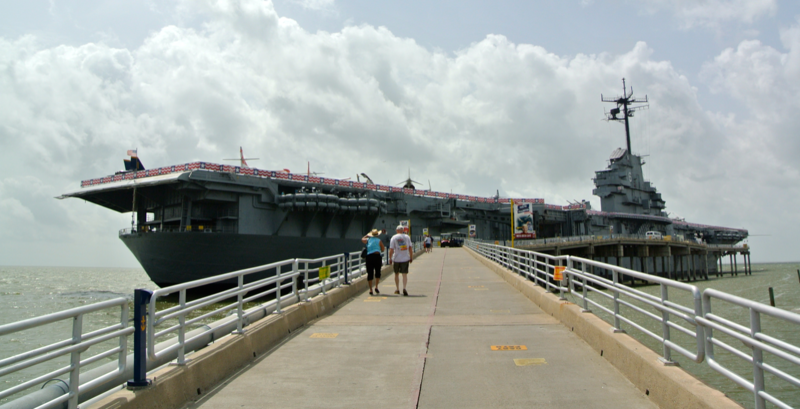 Lexington is the world’s oldest surviving aircraft carrier. 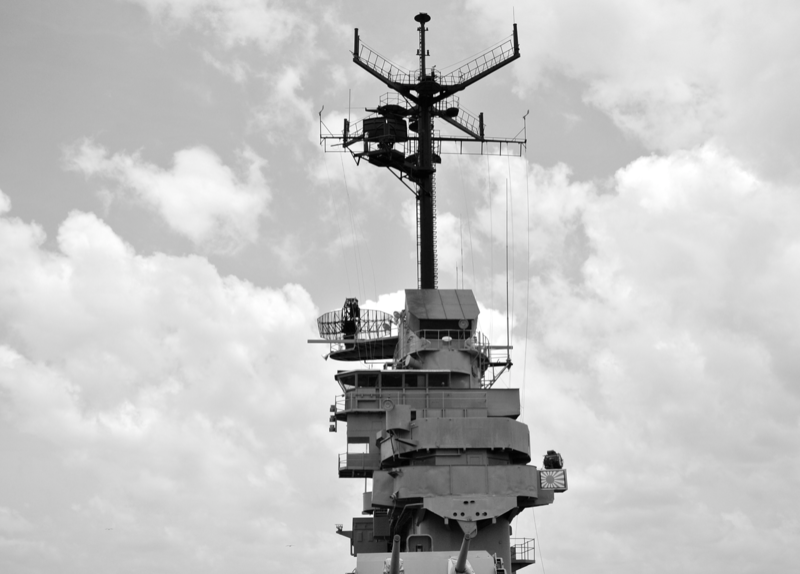 Construction on this vessel began in 1941 in Quincy, Massachusetts. 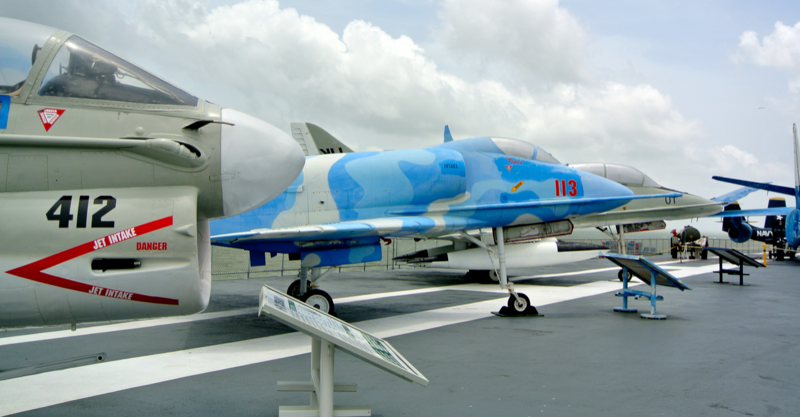 At that time, US officials planned on calling it the “U.S.S. Cabot”, in honor of Henry Cabot Lodge (presumably). 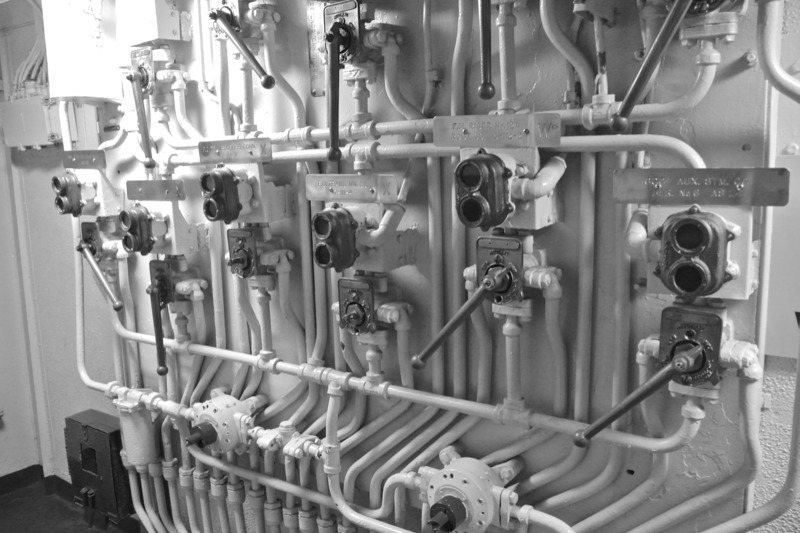 Yet before this ship saw completion in September 1942, the Battle of the Coral Sea waged between May 4 and May 8 of that year. In that five day period, the current U.S.S. Lexington aircraft carrier was sunk by the Japanese forces. 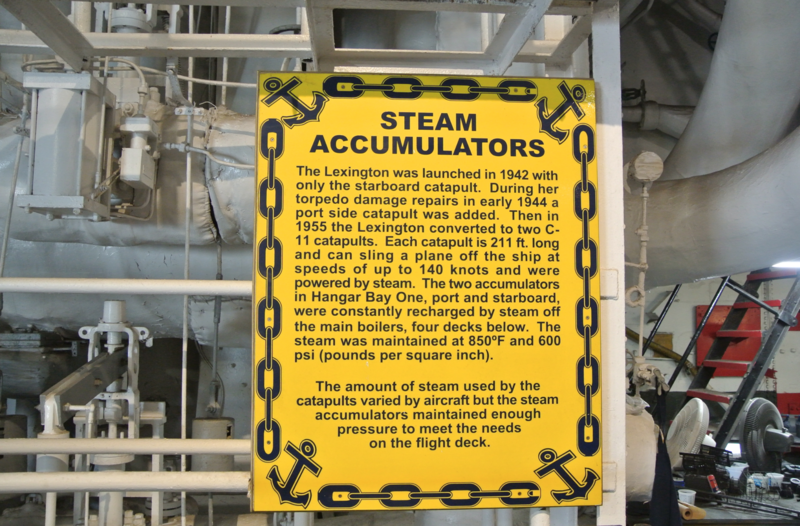 To honor the fallen ship, shipyard workers petitioned the Secretary of the Navy to change the name from Cabot to Lexington. This was approved and the new name was applied on June 16. The fifth navy vessel to bear the name “Lexington”, she set sail on September 23, 1942 and was commissioned on February 17 the follow year. 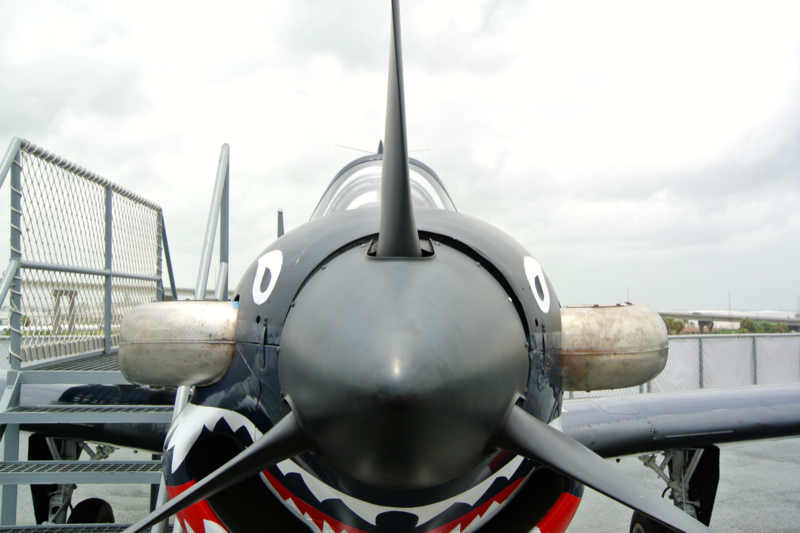 It saw extensive battle during the Pacific War from 1943-1945, serving in such conflicts as the Battle of the Philippine Sea and the Battle of Leyte Gulf. 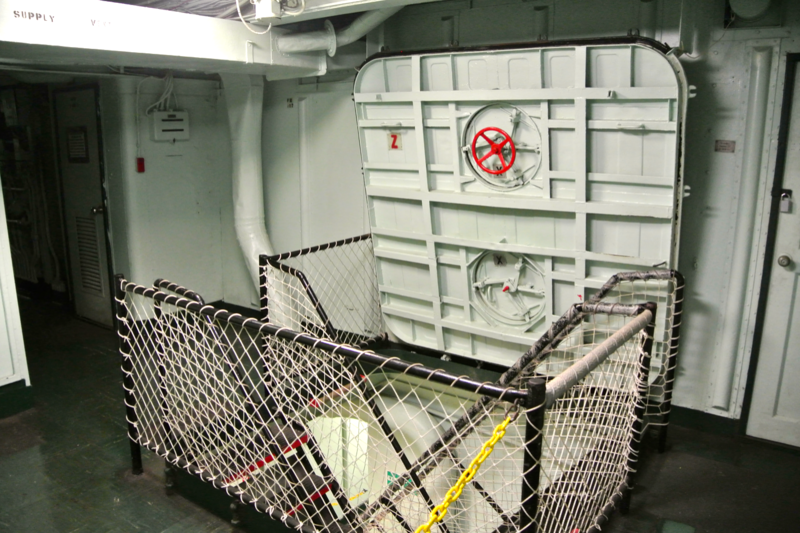 After WWII ended, the ship was both modernized and, after its decommission following the war, recommissioned to serve in a variety of posts through the Atlantic and Pacific Oceans, the Mediterranean Sea, and along America’s east coast as a training vessel. 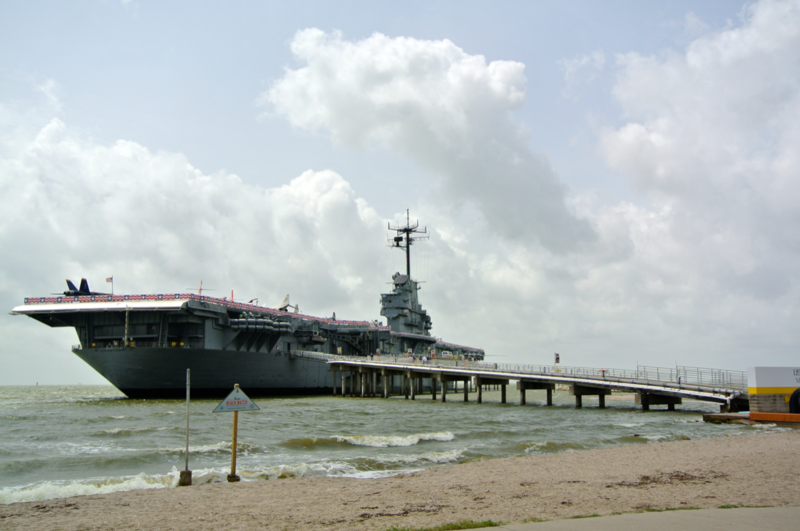 With a final decommission in 1991, she was towed from Pensacola, Florida to Corpus Christi to sit forever as a floating museum to World War II and naval history. And, boy is she impressive! 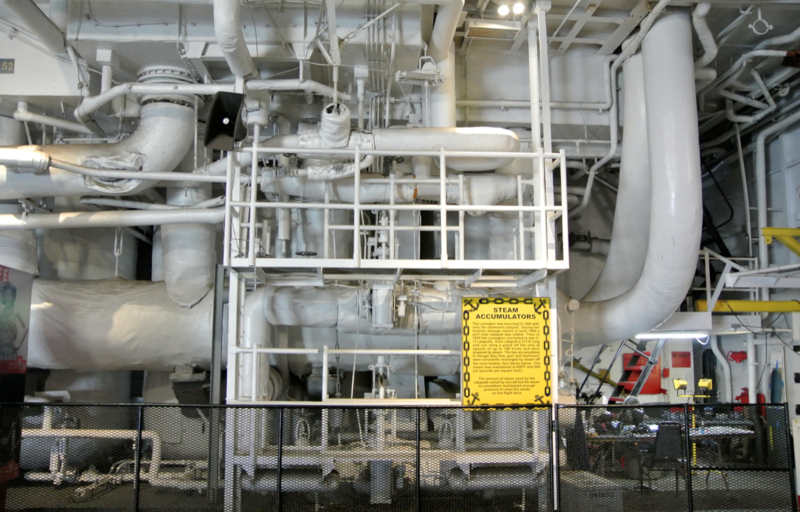 This is a model of the U.S.S. 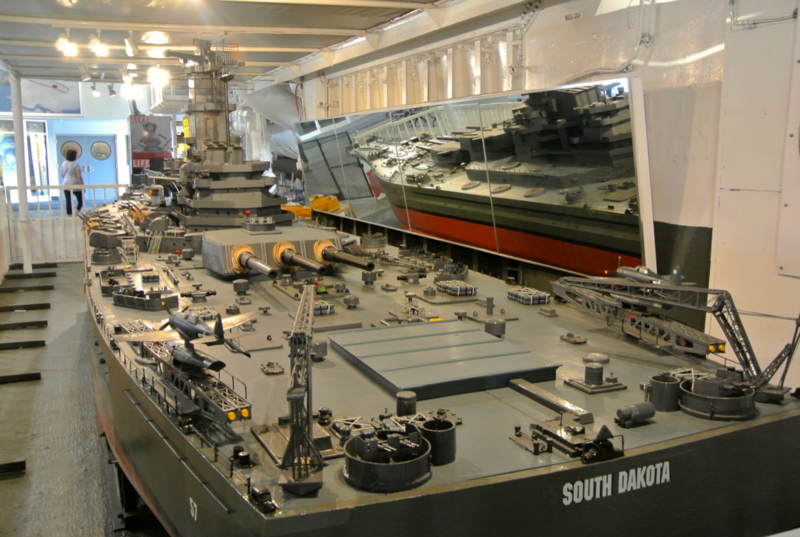 South Dakota (which also served in WWII), on display within the museum. 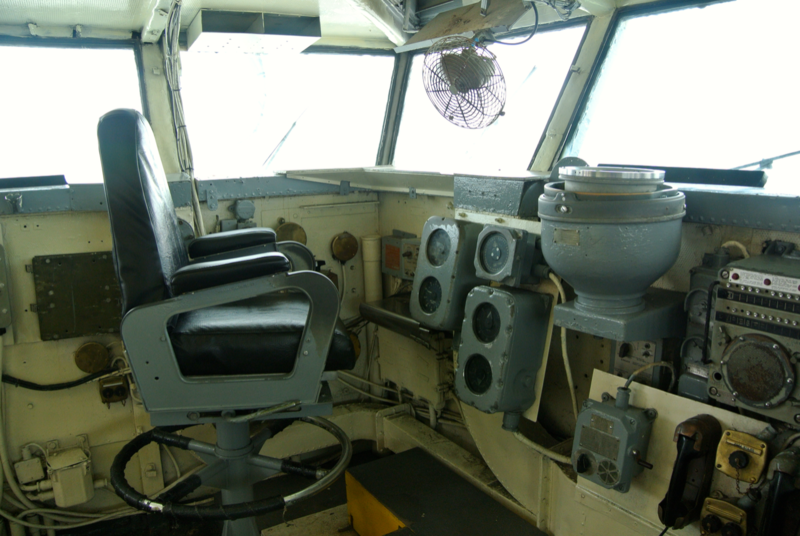 It was decommissioned in 1947 and sold for scrap in 1962. 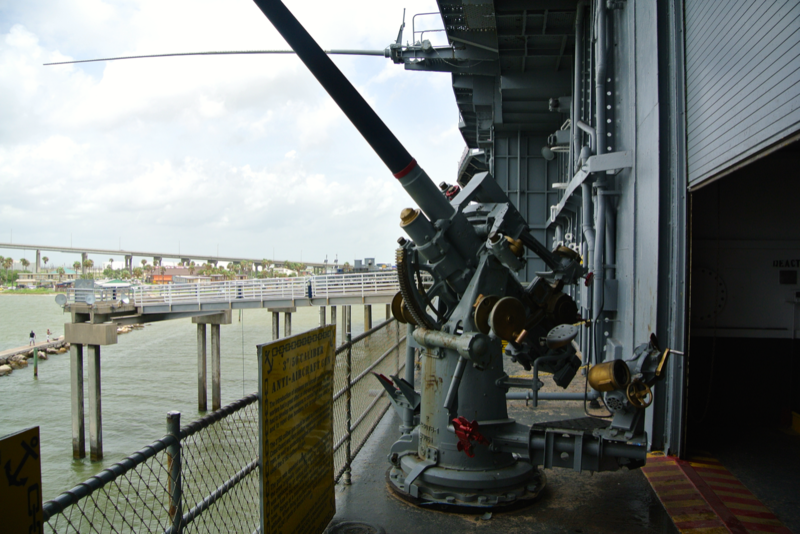 Luckily, because they allow you to step out onto the deck and see one these large anti-aircraft guns, I was provided some nice views of the bay and of downtown Corpus (which I readily captured). 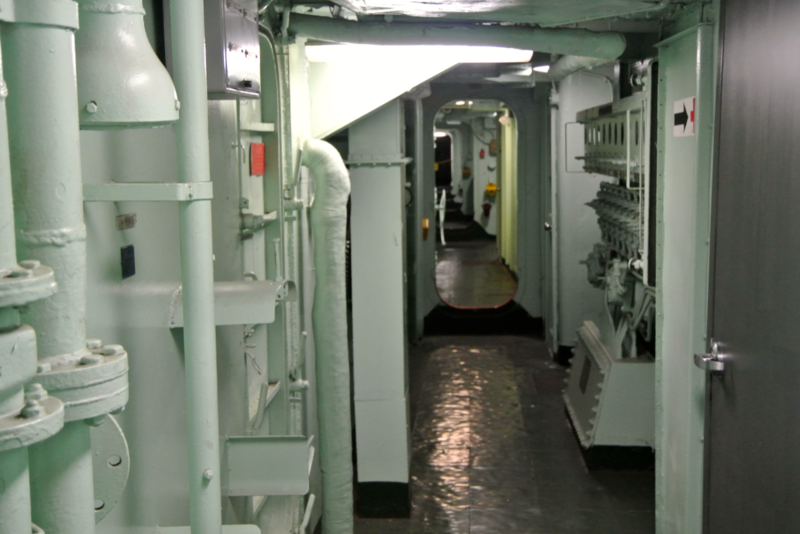 From the entry floor, exhibits line both the above and below decks. 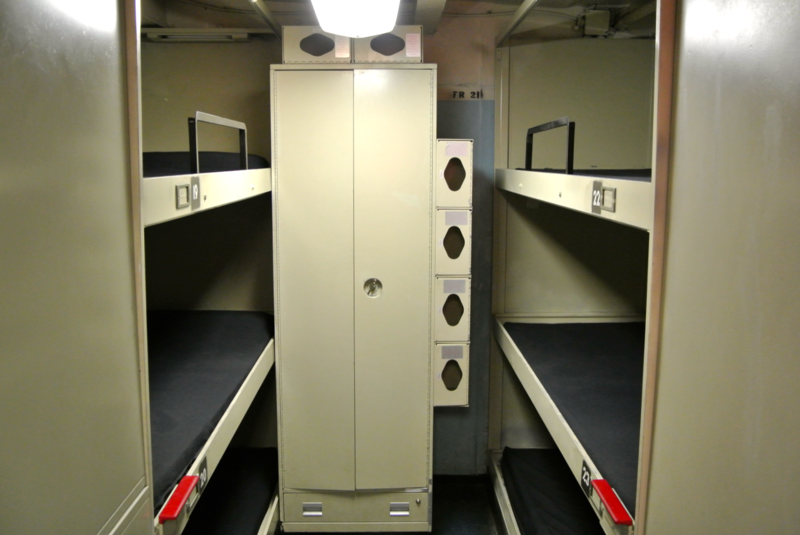 While some pay tribute to Pearl Harbor and other harrowing events from WWII history, others display how life for the sailors would have looked. 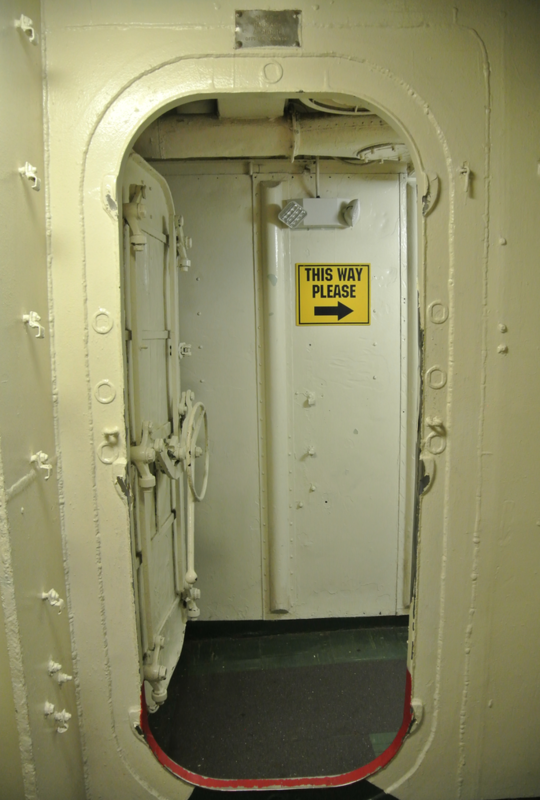 From the mess hall, to the barber shop, to the isolation medical ward, to the barracks, to the engine room, it’s quite an experience to walk through the ship and see it through the eyes of the service men and women of the last seventy years. 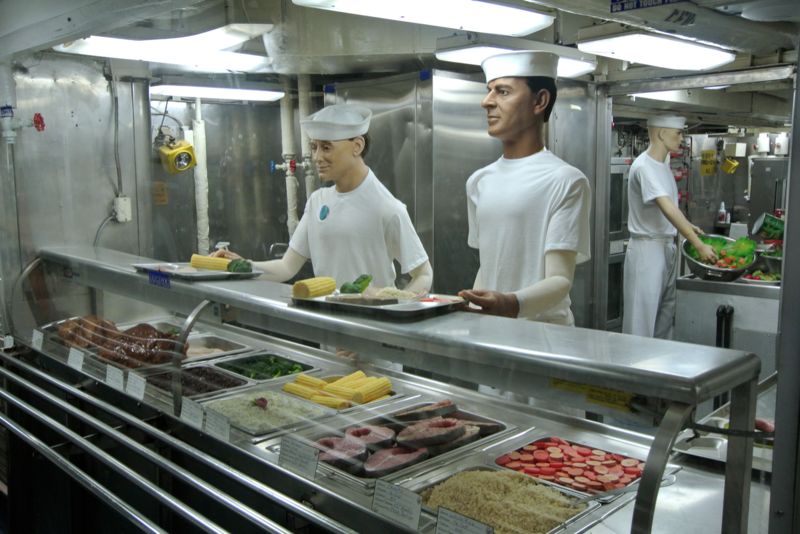 Mannequins are located all throughout the ship to add to the living history. We saved the top for last. 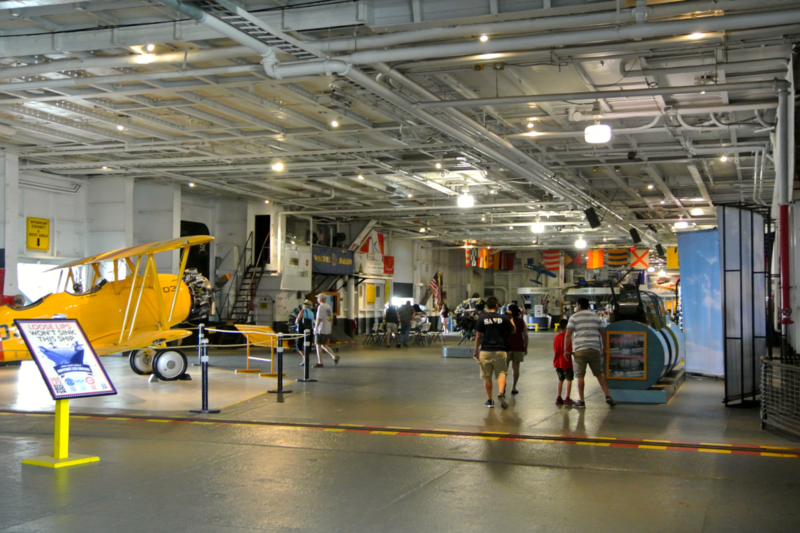 To the best of my knowledge, the flight deck is the only elevator-accessible site in the joint. If you ever feeling like visiting the U.S.S. Lexington, know that you’ve got some ladders to climb (and some are steeper than others). 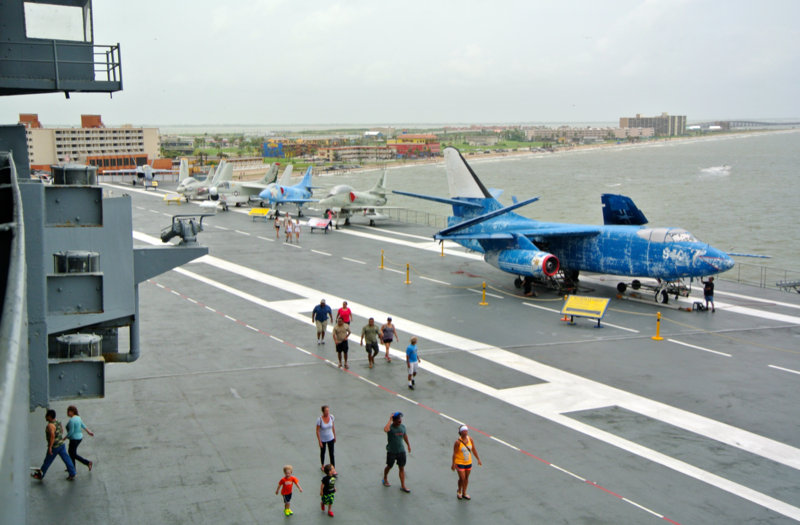 The flight deck boasts a pretty impressive collection of military aircraft that, no matter if you’re interested in history, or planes, or neither, you’ll find intriguing. 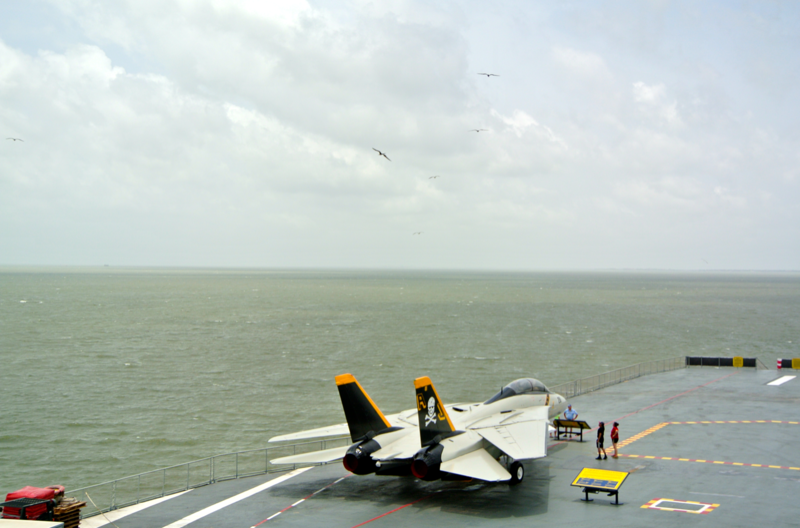 After touring the flight deck, I climbed the next set of ladders up to the control deck. Before I left the flight deck, I wanted to be sure to get one last picture of the city. This is it. 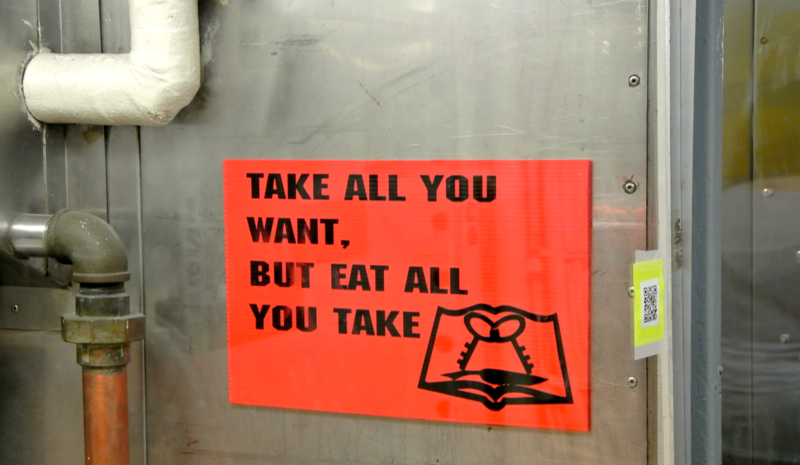 After leaving the ship, we headed back towards downtown to get lunch. 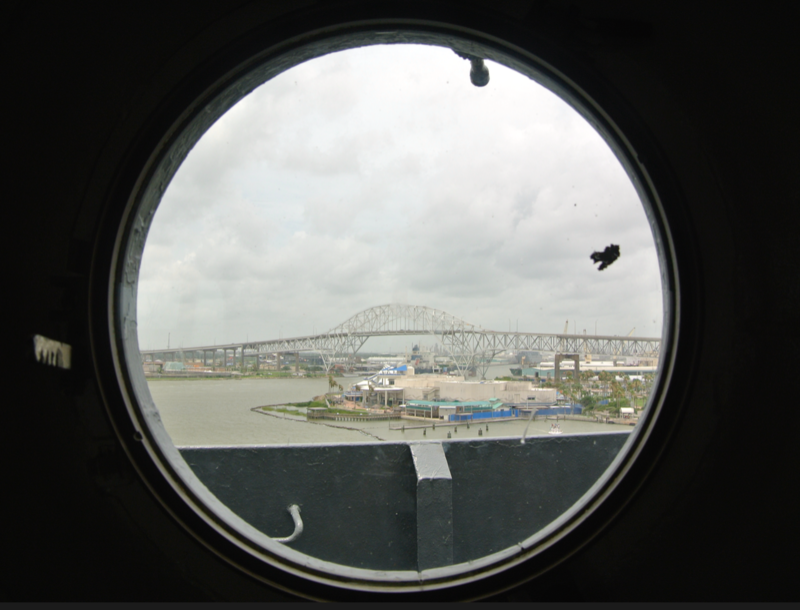 As we passed over the harbor bridge, a glance out the right window brought the actual Corpus Christi harbor into view. 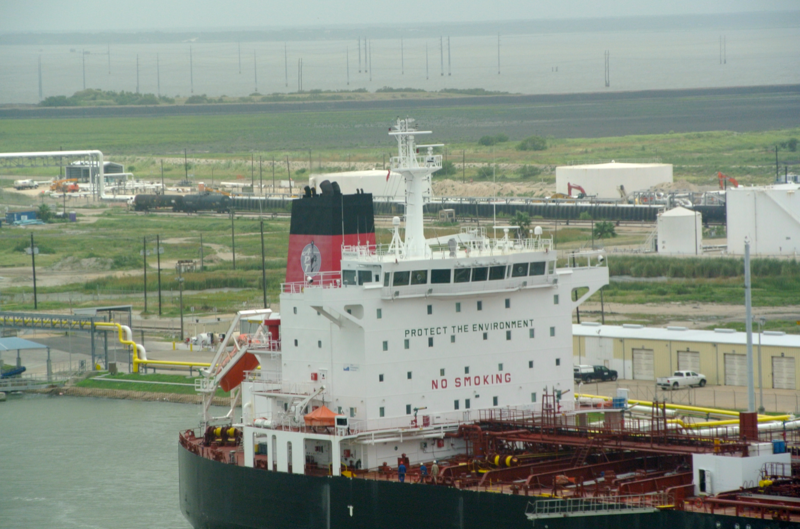 It’s filled with muggy looking water, and crowded with oil tankers and cargo ships, while the horizon is dotted with natural gas refineries and other miscellaneous production plants. “Protect the Environment” I found particularly ironic. On our way to the restaurant, we passed by a building I would get acquainted with the next day. 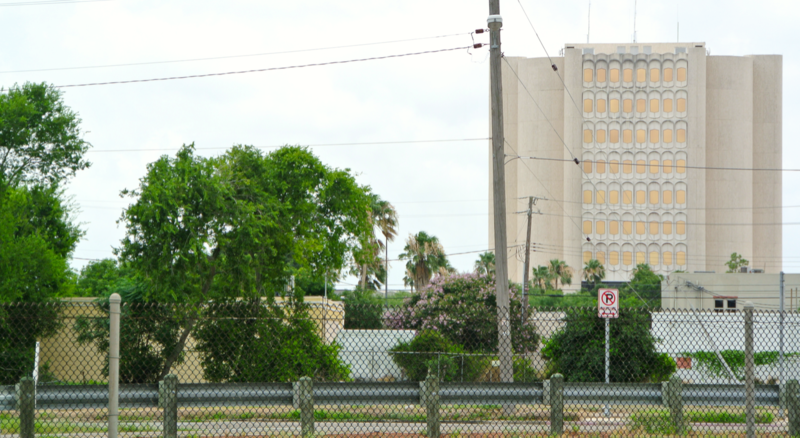 That’s the 1977 Nueces County courthouse, which replaced a much older (and much more beautiful) 1914 design. The thing is, though, the 1914 courthouse still stands…but is heavily abandoned. I’d see it the next day, so if you want to know more on the subject, be sure to read Day 3 of this trip. Lunch was at Water Street Oyster Bar on Water Street, just a block or two from the bay. 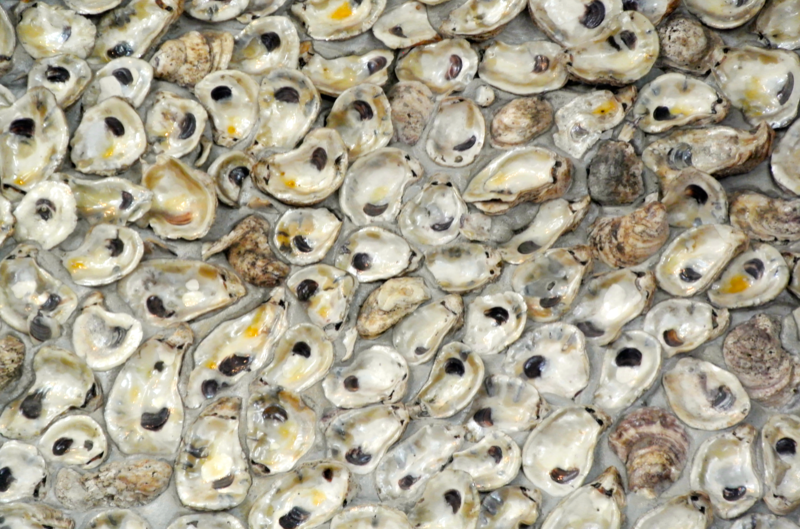 A sign said that they recycle oyster shells here, and I could tell that they’ve put some to good use. This art piece hangs above the reception desk, near the front door. 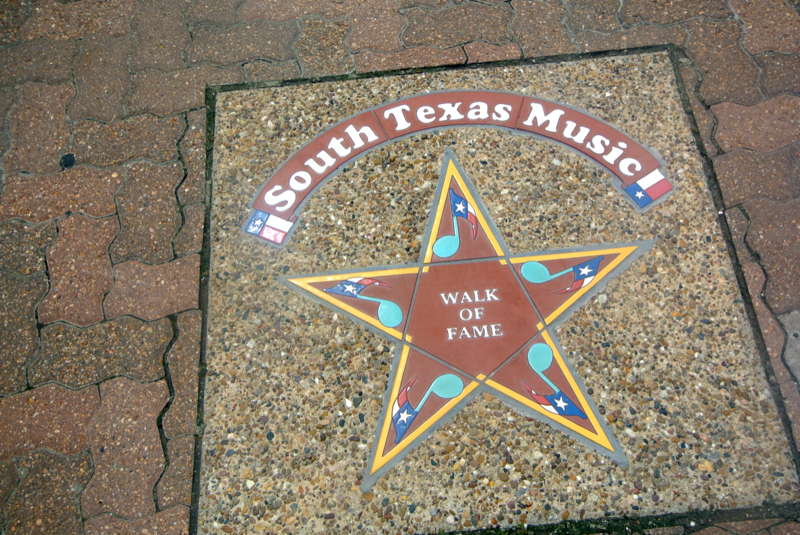 I discovered after eating that the “South Texas Music Walk of Fame” lines the street just outside of the restaurant. In truth, there weren’t many names I recognized. I’m a country fan, myself, and I didn’t see Kris Kristofferson (born in Brownsville), nor Freddy Fender (born in San Benito). They may have been there, but I didn’t travel the entire walk to see. There was one name that stood out, though. 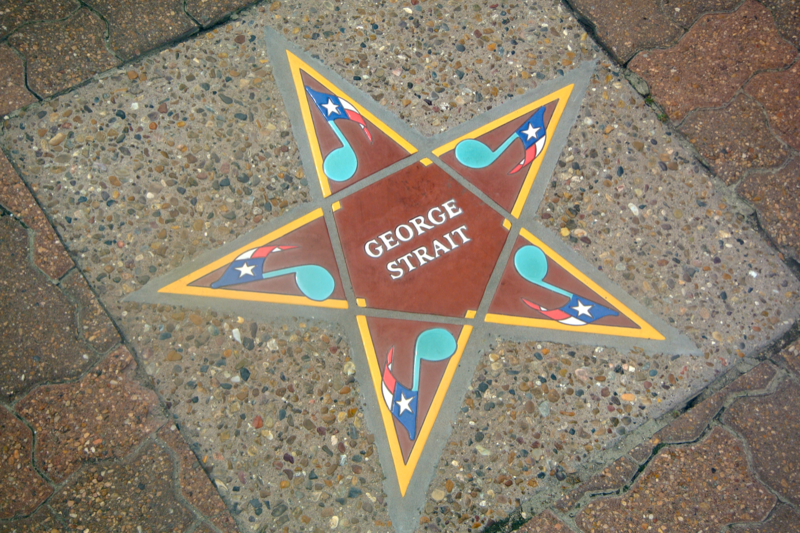 Who hasn’t heard of George Strait? 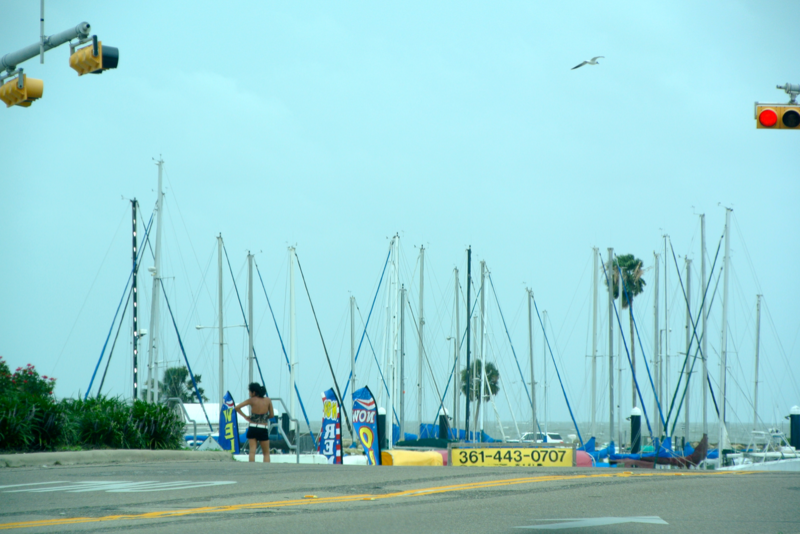 To get back to North Beach, we first passed down Shoreline Boulevard, which runs parallel to Corpus Christi Bay. 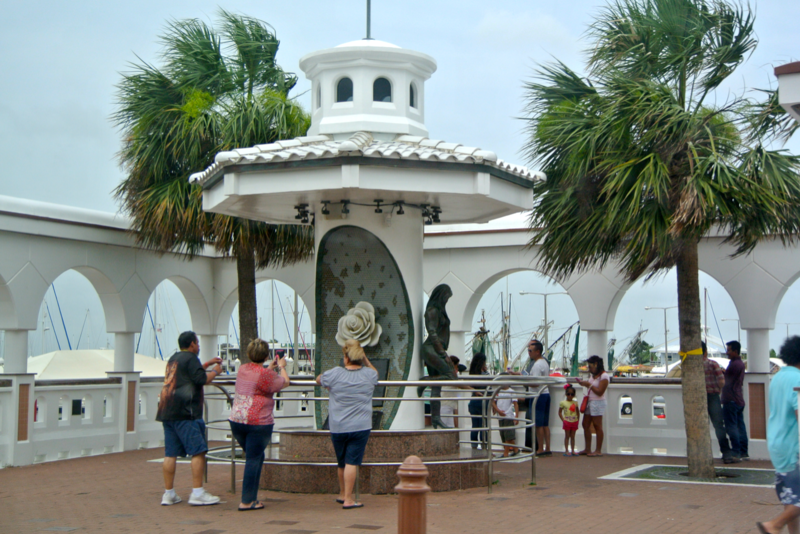 One of the attractions along Shoreline is the Selena Memorial. Selena Quintanilla-Pérez, as you may know, was the resident queen of Tejano music in the 1990s. Her life came to an end in March of 1995 when her twisted fan club president Yolanda Saldivar shot her (in Corpus Christi). I happily noticed, as we drove by, that Selena’s music is playing for those who visit this monument. I myself am not familiar with her work, but I am somewhat familiar with her story. She, like so many other greats, met such a tragic end. I was glad to see this touching memorial to her memory. After cruising back over the bridge, we arrived once more in North Beach. 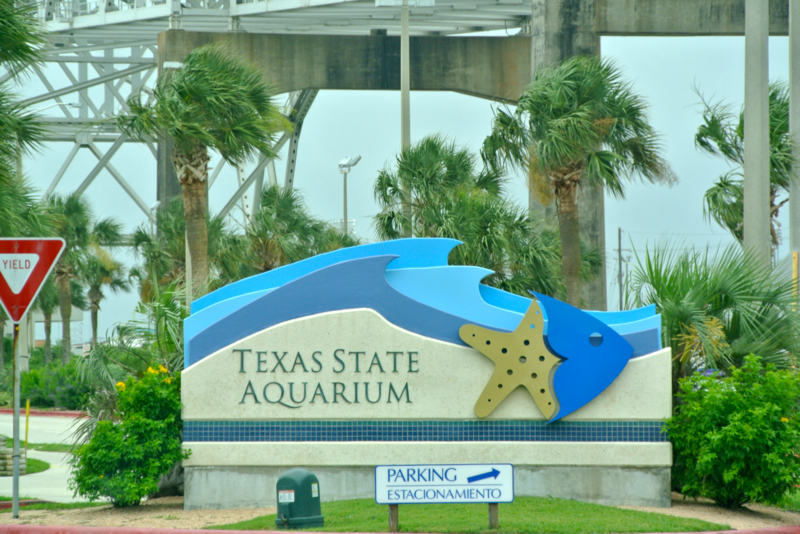 Our destination this time was the Texas State Aquarium. As far as I know, there are only a handful more in the entire state, so I’m not quite sure how much of a “designation” the “state aquarium” title is. 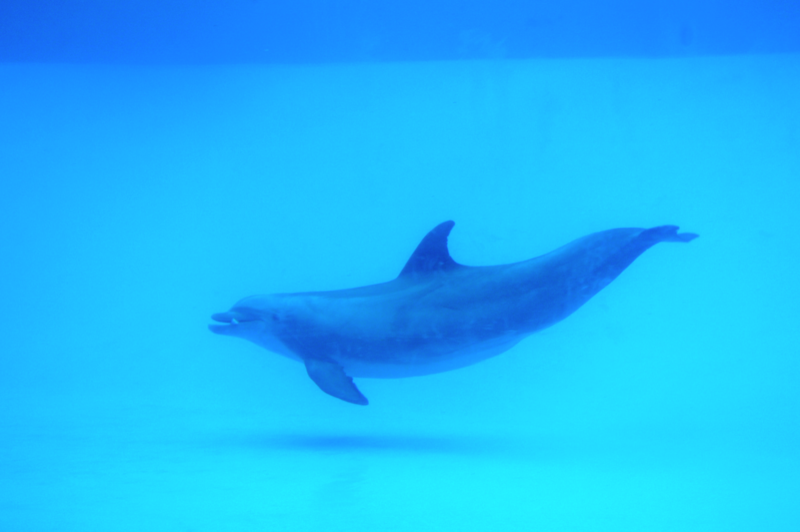 Correct me if I’m wrong, but the only other such facilities are the Dallas World Aquarium, the Aquarium Pyramid at Moody Gardens in Galveston, (SeaWorld, if you count that), the Fair park one, Houston, Grapevine, and Austin…ok…so there’s more than I thought. 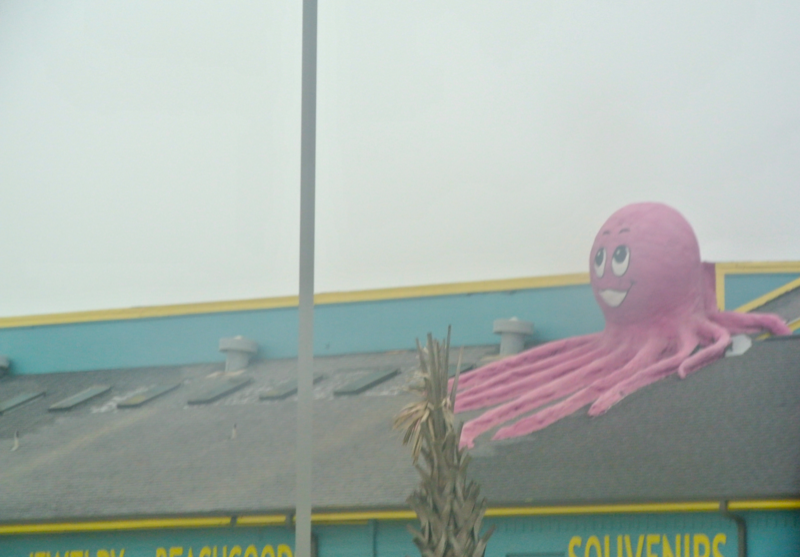 Anyway, we went to check out this “revered” locale. 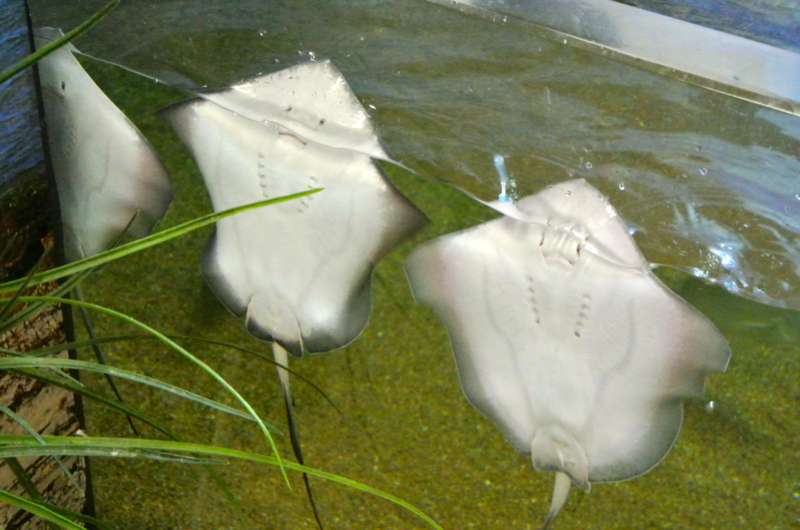 I began to realize, as I walked through the aquarium, how depressing one of these facilities is. Now, I’m no P.E.T.A. picketer, but I do have a soft spot in my heart for these animals. And, as I moved from exhibit to exhibit, I realized that I should have never even come to this place. 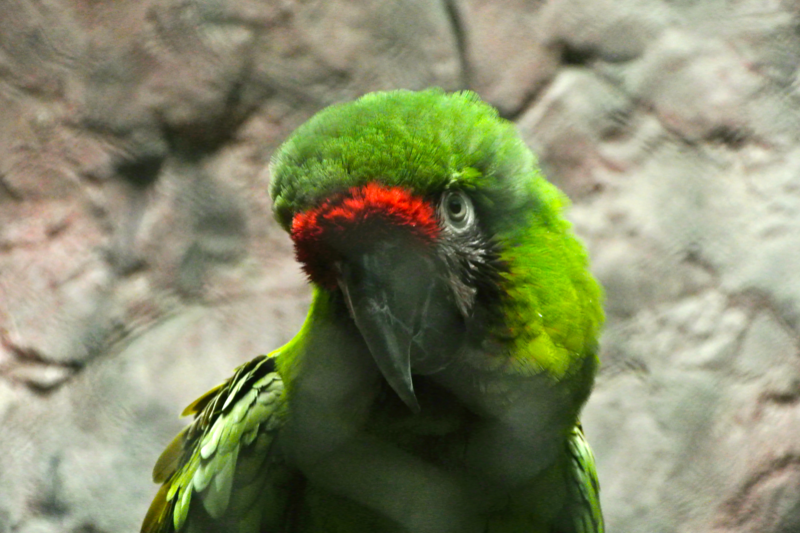 The animals seemed happy enough, but how are we really to know? Their “tanks” are just not the size you’d think they’d need to be. Has anyone watched Blackfish? I won’t say any more on the topic. I shouldn’t turn this site into my personal ranting platform. This is 254 Texas Courthouses, after all…not shutdownseaworld.net. 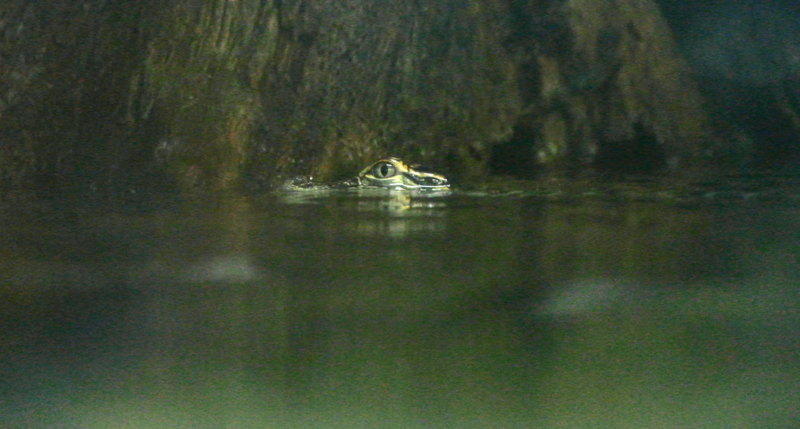 Anyhow, here are some photo selections. He does look like he’s crying, doesn’t he? 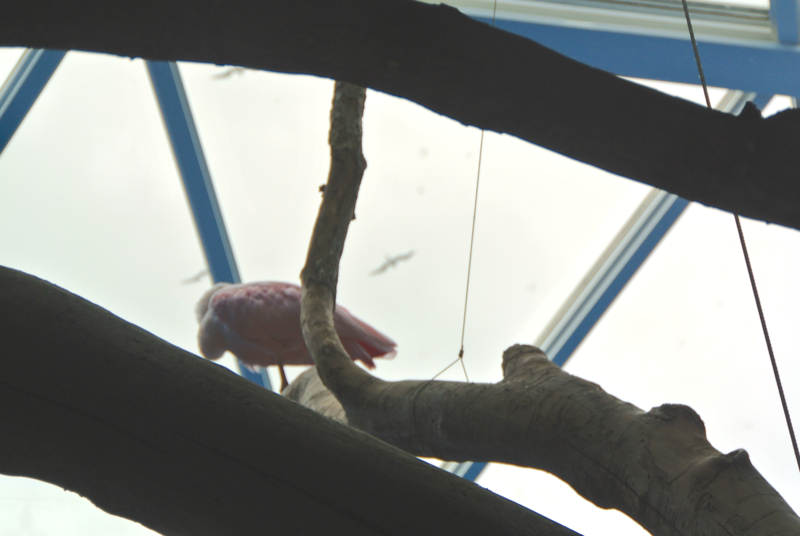 I couldn’t bring myself to put a picture of the aquarium’s bald eagle (which is perhaps the saddest exhibit of all) on here. 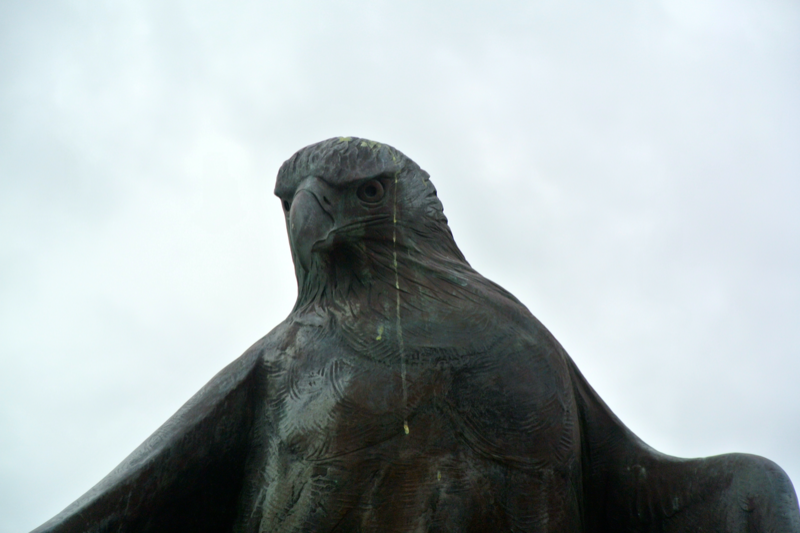 But, here’s a statue that they had of it. 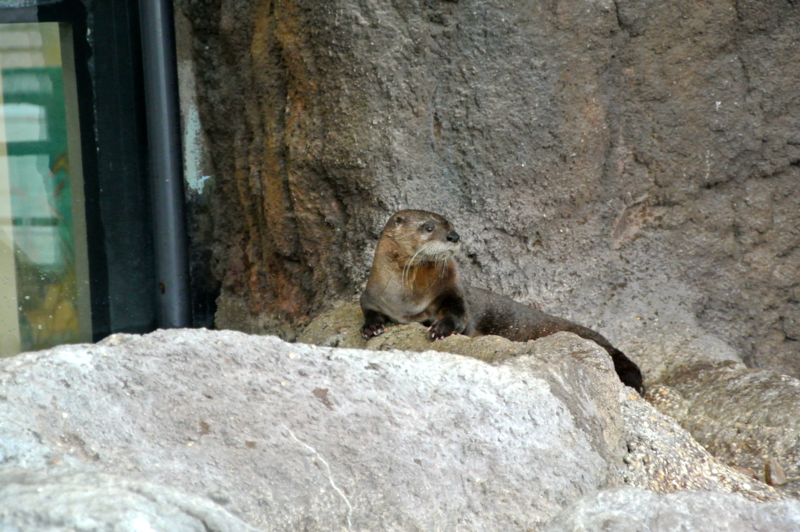 All in all, I don’t recommend the Texas State Aquarium, or any aquarium for that matter. I don’t imagine I’ll be coming back. 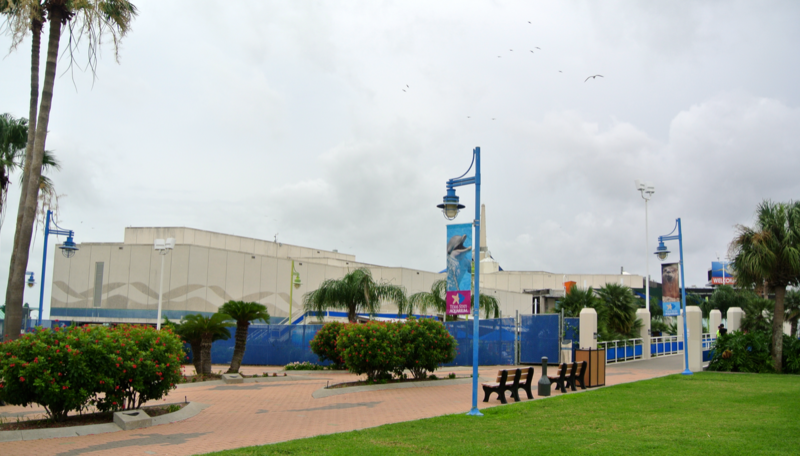 To fill the rest of our day, we headed back to “our side of town” (all that lies to the east of Oso Bay and to the west of Padre Island). 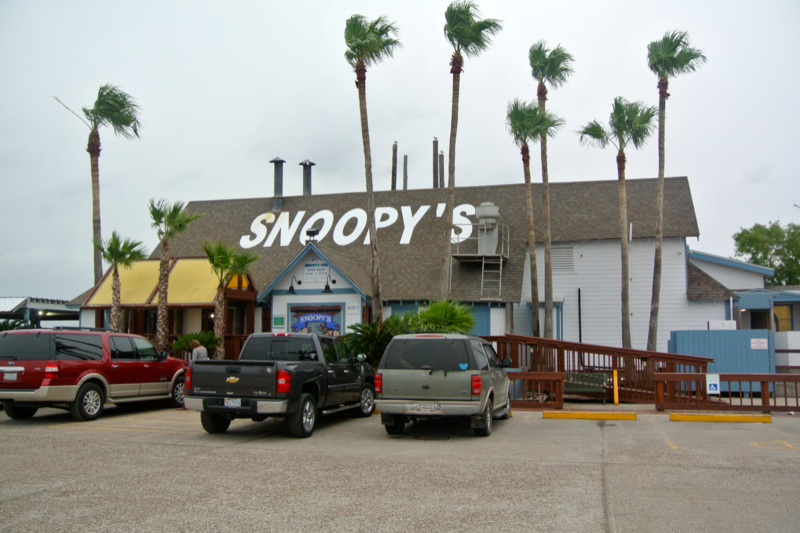 Having been to South Padre Island twice before, we wanted to check out what we called “North Padre Island”. This is known to everyone else as simply Padre Island or Mustang Island (that’s to my understanding, anyway). 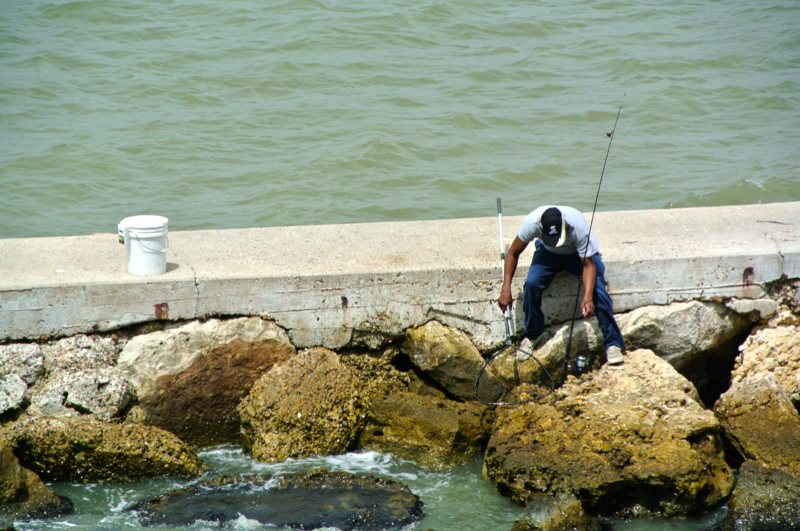 The causeway to Padre Island was noticeably longer than the one to South Padre Island. 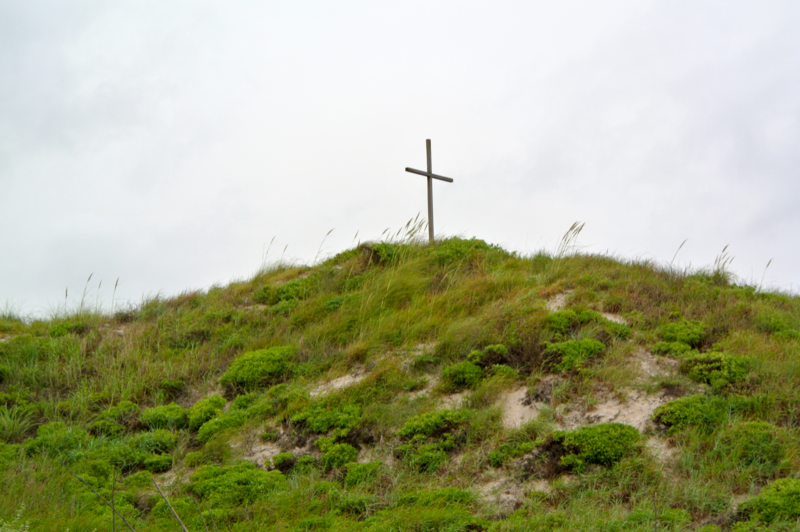 As you might remember, I found a similar wooden cross on the beach just south of High Island, at the “end of the road” on Bolivar Peninsula last summer. I realized after loading the pictures from this day (June 21, 2015), that I found this cross exactly one year after the previous one (June 21, 2014). Unplanned, but cool. 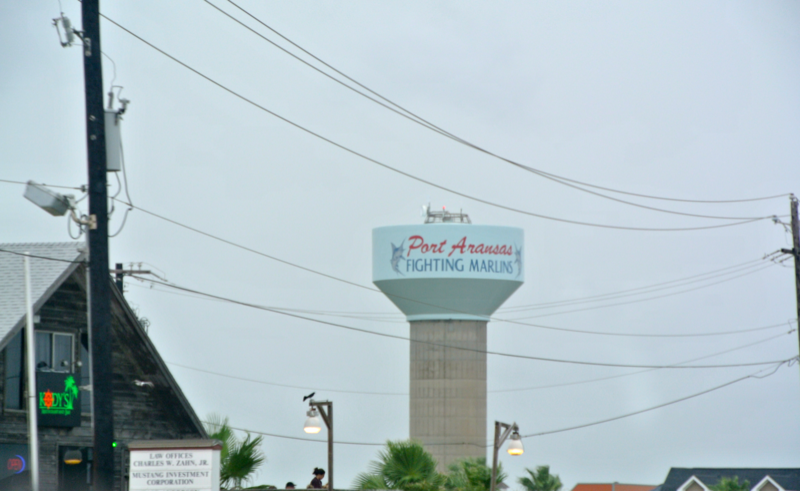 Next, we headed northeast from the community of Padre Island, through Mustang Island State Park, to the city of Port Aransas. 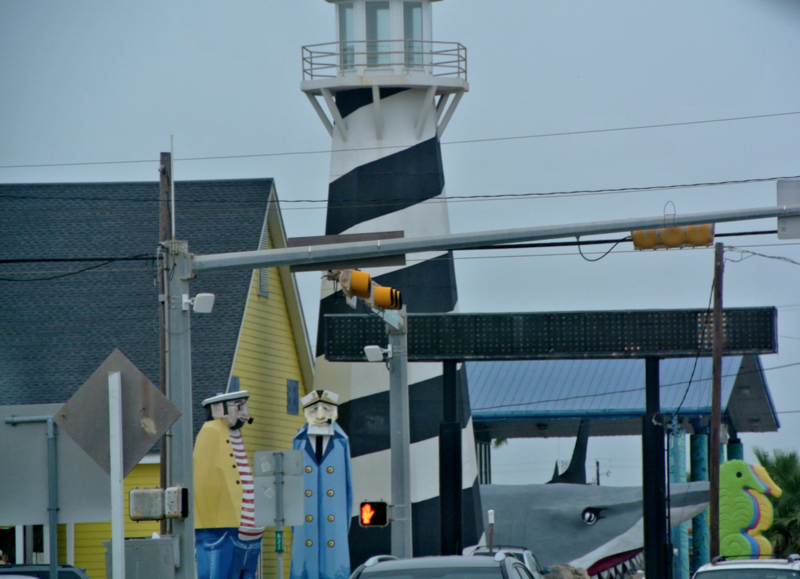 I’d only heard about Port Aransas in songs, and had never actually been. 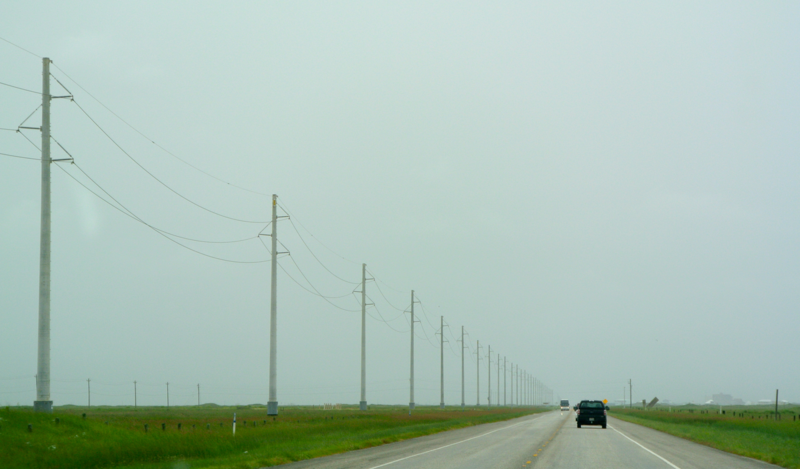 The terrain between the two towns is as desolate and barren as that between Surfside Beach and Galveston Island. 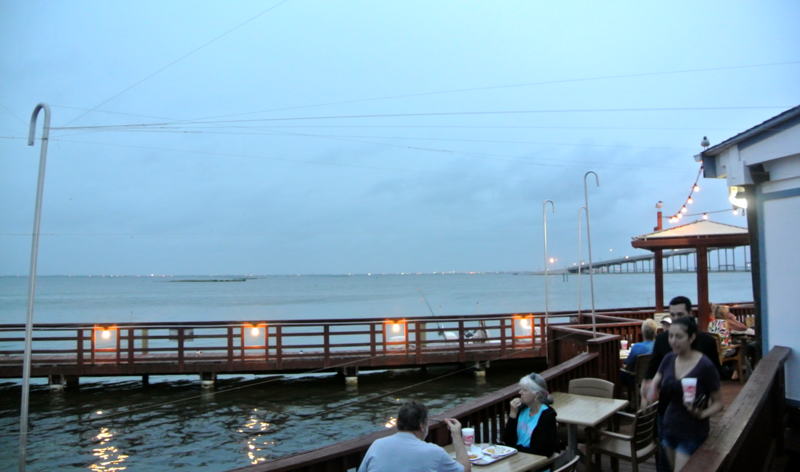 So after briefly exploring Port Aransas, we double backed over that monotonous terrain to Padre Island and found dinner at a small restaurant situated right on the edge of Corpus Christi Bay. The catch of the day was mahi-mahi, and it was so good. After dinner, we made a quick stop at an ice cream bar (located right next door to Snoopy’s), which you could tell was having to recover from the Blue Bell shutdown. To satiate customers, they’ve been using a lesser known brand out of McKinney. It wasn’t bad, but it wasn’t Blue Bell. 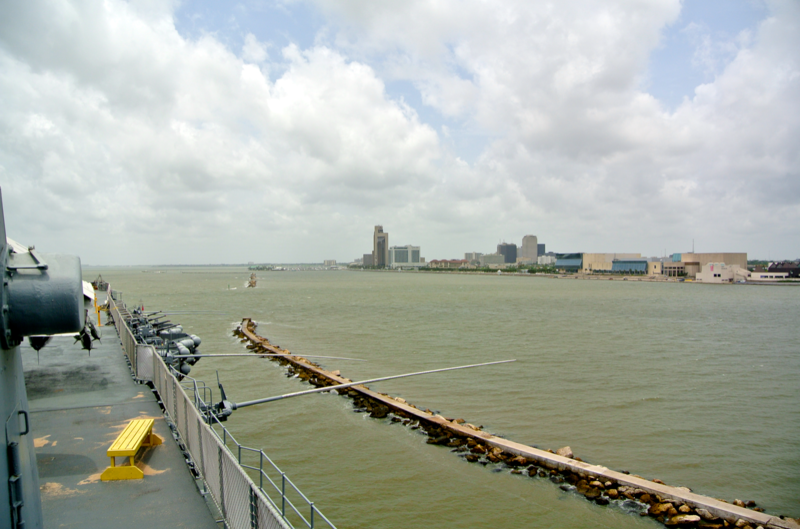 So after crossing back over the causeway to Corpus Christi proper, we headed off to bed. Tomorrow’d be the day that visitors to this site really want to read about. Aside from that pesky Jefferson County (Beaumont) in far east Texas, tomorrow would be the day when I completed the Texas coast.